Use your iPad or other devices with this single plug jackbox for tablets, digital audio players, computers, & laptops. 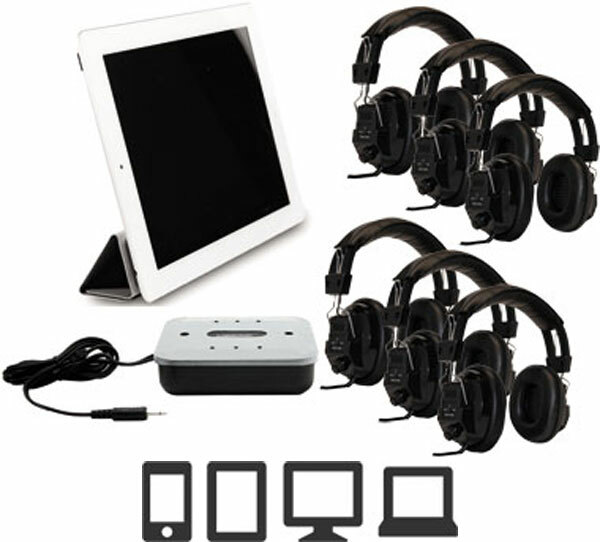 This combo kit includes one JB8S-M 8-position jackbox and up to 8 Labsonic LS3000 Heavy-Duty switchable mono/stereo headphones. iPad not included.